Elog is a part of weblog application suit; the design goal of weblog is to put information of general use online. Elog is electronic Logbook and lets users save their notes online in an easy to use, lightweight web interface. It is simple and easy to use application, you can access your notes locally and remotely using web address. This tool is extremely useful in many scenarios, you need to deliver some presentation or attend any meeting, simply save your notes and access it from anywhere in the world. It also allows you to share your logbook with other people, so in this way friends and colleagues can better collaborate on the items of mutual interest. Let’s see how we can install it on Ubuntu 15.04 operating system. Elog needs Lamp-stack to be installed on our Ubuntu system; Lamp Stack consists of Apache, PHP and MySQL server. In order to install Lamp-stack, launch your ubuntu system terminal and run following command. 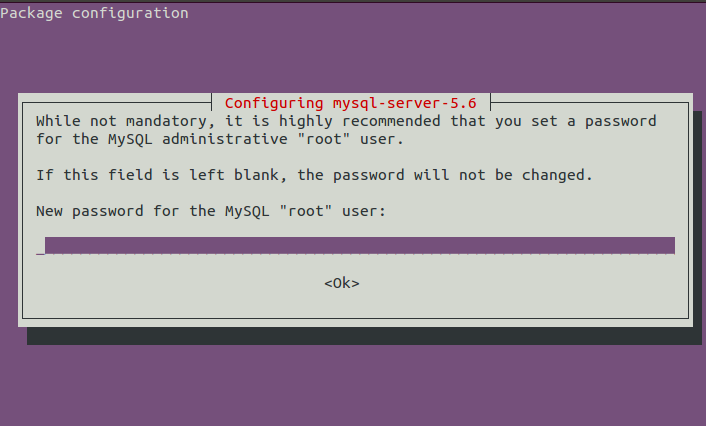 During the installation process, it will load a pop up to specify the root password for your MySQL Server. Once the installation of lamp-stack is complete, run following command to start Apache service. Our Ubuntu system is ready to host Elog now, run following command on the terminal to install Elog. Congratulations, Elog has been installed now, run following command to star Elog service. Important : Please make sure to configure Elog to start on your Ubuntu system boot up. Run following command to configure it to start on system boot up.